Is the former Patriots and 49ers tackle one of the best in the league, or was he simply in a great position to thrive in New England in 2018? 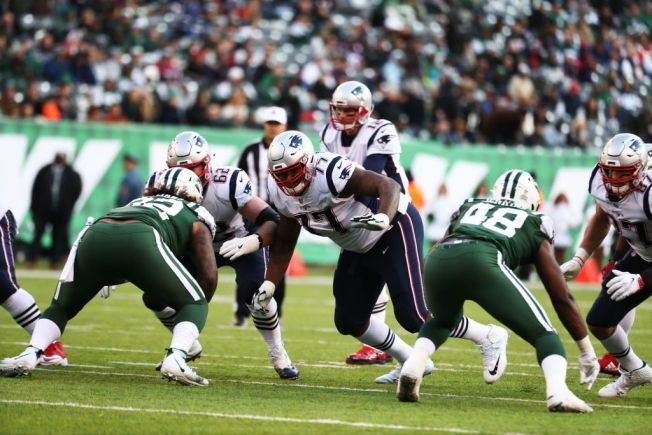 When the Raiders recently gave free-agent offensive tackle Trent Brown a four-year deal worth as much as $66 million, they believed they were investing in a player who can transform the offensive line. The former New England Patriot and San Francisco 49er played well for the Pats in 2018 on their Super Bowl run, and appeared to have finally achieved the potential the Niners saw when they drafted him (but then eventually traded away). By adding Brown, the Raiders showed they believe he can help quarterback Derek Carr, who was sacked 51 times in 2018, get more time in 2019 and be more effective. Brown, 25, was moved from the right side to the left side in New England and thrived under the coaching of offensive line coach Dante Scarnecchia. The 6-foot-8, 380-pounder allowed just 3½ sacks in 2018, and none during the postseason. With Brown at left tackle and last year’s No. 1 pick, Kolton Miller, on the right side – and healthy again after an injury-filled rookie season – Carr could have much more consistent pass protection. But others aren’t so sure Brown is worth the huge investment. In February, Bleacher Report’s Brad Gagnon listed Brown as the fourth most overrated player entering free agency. Gagnon predicted Brown would be overpaid in free agency and over-rewarded for his one season in New England, despite three up-and-down seasons in San Francisco. He also cited the evaluation of Michael Renner of the analytic website Pro Football Focus, who didn’t see Brown’s 2018 season as remarkable as others did.